eastbourne pier, originally uploaded by jonnybaker. in the christmas e-mail update from kore, there was a link to tabled, some guys in canada who have created a site with a number of installations around bread and wine. it's a wonderfully put together site with some great ideas - inevitably it is worship trick 79. We long for new light to shine where there has been darkness. We long for new hope to reign where there has been death and despair. today cms says goodbye to steve bevans who has been our missiologist in residence for 3 months. it's been absolutely wonderful to have steve round the place. i have leanrned so much from him. this is partly through his teaching and reading his books, but it's as much because of the way he is and who he is - full of faith, wise, curious, but incredibly humble and down to earth. there is no such thing as theology as such - there can only be contextual theologies: feminist, African, North American, Roman, Asian, theology of first nations and so on. A theology that might claim to be univesal is really one that is universalising - one that wants to impose a particular contextual theology on other ways of doing theology. the move in his latest book is to say that because of this we need one another's takes down the ages and across the world - an intercontextual theology, a global conversation. it's only then that we will see our own blindness and discover insights about jesus christ and faith that we have never seen before. there is a masterful laying out of theology as faith seeking understanding. that seeking is done globally and that is done in community. 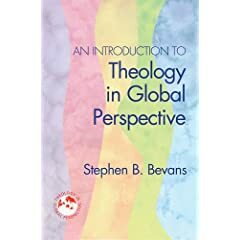 using the idea of variations on a theme steve busks several variations of his own - that theology is about activity not knowledge, that it is not located in the academy, that it is communal, that it is missional, that it is contextual... i loved these. he then shows his genius by taking on the subject of tradition and the magisterium (sounds like something out of harry potter!). he is roman catholic so some of this is specific to that tradition but the moves he makes apply anywhere with his appeal to a depth and faithfulness to the tradition but to one that is living and moving forward. and that faithfulness at times will call for subversion for making a play that is not traditional but that calls the tradition back to faithfulness. it's a very rich piece. creative fidelity is the term he uses. if you've not read models of contextual theology he has one chapter in this book that summarises that work pretty neatly. essentially this lays out a grid of relationships between theology and culture that contextual theologies take. what interested me the most about this summary is that many of the influences in evangelical mission theology seem to sit in the countercultural model. and on his grid that is the most negative posture towards culture. herein lies the reasons for so much of the evangelical legacy that is problematic in my view - it's basic theological instincts around culture are fearful and suspicious. i'd love to see this picked up and debated further. the following chapter is steve's summary of catholic method - on reading this i went and put my head round steve's door to tell him i was catholic (which of course i am, just not roman catholic). this is the second book this year that i have done that with. a sacramental view of all life, creation and culture, an opneness to all (catholicity) and an incarnational view of god's presence in the world are all compelling as is his critique of fundamentalisms. the last section is a sweep of theology history which i confess i skimmed and need to come back to though ht to cathy ross who makes it into the line of the good and the great in theology! if you want to read an inspirational book on theology look no further. if you prefer to read lectures or hear mp3s of talks then steve's cms talks are on the cms web site - have a search through the crowther pages. steve peace for the journey and thanks for the inspiration! beyond, originally uploaded by jonnybaker. this is demanding for the church community - much more so than showing up for an hour on a sunday morning. the church meet for worship and fellowship on a weds night. it's a small church - around a dozen older people and then two families (i think). they are selling the building and working to get a house in the area and invest the money to create income for a sustainable future of a community living out mission on the hight st.
i think this is exactly the kind of imagination and risk taking the church needs. re-configuring around mission and reworking the assets towards sustaining the mission longer term. tony also functions as a chaplain to businesses and shops in the area, again spotting the opportunity to be present in the community. here's the challenge - the existing church community are older and have been wonderful in coping with this shift but tony was saying how they could do with some more mission energy and imagination in the community to develop a more dynamic core. so if you are anywhere near walthamstow and are currently consuming religion on a pew but either bored or frustrated or too comfortable or want to do something more outward focused then go and join tony and co in their adventure. Between the Old and New Testaments there are 400 years without word from God. When there is silence from heaven, how do we wait amid noise on earth? this saturday is our advent/christmas season grace. following the greater silence (inspired by laurence and beth) we're back with... well the even greater silence! si johnston buzzed me an e-mail to say that having had a small community going for 4 years in NI their community are going a bit more public now - see church. there are not many spaces in NI that i know of exploring christian faith in a non-institutional way. so it's great to see this development. church is always spelt with a lower case ‘c’. church is always plural and never singular. church is not the space we mostly meet in. church needs neither prefix nor suffix. church is as much a verb as it is a noun. church is, for us, an aspirational name. how often is it that you get a description like this? seems like bridlington's new venture is going to be fun - follow each day here. or have angels frozen suspended in a lit up 1m block of ice? 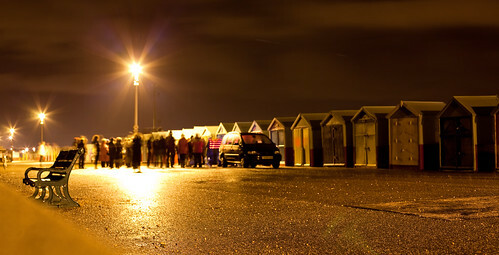 - brighton beyond is also under way. day 2 looks amazing! - follow here. leftbankadvent launch also looks wonderful - seems like yorkshire is the place to be!